As the smallest streaming adapter here it may not look like much, but the MusicCast has got it where it counts. Read our Yamaha WX AD-10 Review. Although one of the most affordable units here, the WXAD-10’s impressive spec supports sample rates up to 24-bit/192kHz via wired and wi-fi hookup along with Bluetooth and AirPlay connectivity, and it can additionally be used as a standalone network audio player. As well as offering a considerable selection of streaming services second only to the Sonos, it has native support for Tidal, Qobuz, Deezer (including Deezer HiFi) and Juke alongside Spotify Connect and internet radio. As well as integration with Yamaha’s vast selection of MusicCast components – which now extend into the realms of self-playing pianos – it’s all controlled by the MusicCast Controller app for both iOS and Android. It lacks a digital output – which limits any future upgrade-ability – but it’s powered by a 5V USB feed, meaning that it can potentially be powered from other nearby components and do without a mains connection of its own. With the simple app-driven setup completed, the WXAD-10 reveals itself to have the lowest output in the group, although this is not so significant as to preclude its use in any system it is likely to be partnered with. There is also much to like about how it goes about making music. The tonal balance is fundamentally neutral, but there is a slight emphasis on the midrange that adds richness and detail to the string section of Adagio For TRON and allows you to perceive individual instruments without losing a sense of the piece as a whole. As the track builds to its climax, the Yamaha does a fine job of capturing the full scale of the orchestra. These attributes mean that its performance of Dissolved Girl is the best in the test. That slight warmth helps the vocals stand out, but doesn’t tip the balance so far as to lose the overall potency and tonal darkness that makes it so effective. The bass lacks the absolute depth of some models here, but it integrates well into the overall frequency response and has good levels of detail. This integration makes for a satisfying performance with Sinner In The Sea and it does a good job of reproducing the distinctive rhythm of the piece. The MusicCast app is available for iOS and Android devices and is designed to control a multi-room setup of Yamaha components, and the good news is that this doesn’t significantly affect the user experience. Library browsing is fast, stable and intuitive. The downside is that while there are plenty of streaming services available, the browsing experience is somewhat below par and doesn’t match the slickness of the best. What Yamaha takes with one hand, it gives with the other. While the WXAD-10 isn’t MQA compatible, it can access the hi-res content on a Qobuz Sublime subscription. 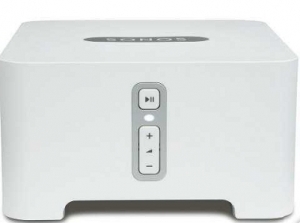 The AirPlay and Bluetooth implementations are also extremely good and easy to connect.